With a large number of templates to choose from we can achieve your goals. Whether you want a website to promote yourself or you have a business you want promoted, we can tailor them to you needs. Most of the time we make adjustments on the template, so when choosing, keep in mind some templates have certain qualities and options. We will suggest one that we feel is most appropriate for you needs. The development of a web presence, is also a big part of how well your website will do. If a site can't be found by Google then, your loosing visibility. We also include the initial *SEO for you site and submit your sitemap to Google. One thing that we have found over the years, is that a lot of our clients have had websites built by someone, thinking they got what would be expected but later find out their SEO is either non existent or poorly developed. It's kinda like getting a car with no wheels...who does that? lol So once we have completed your site, you can actually get on the highway and Drive! *SEO is included in all packages, with "one free" 3 month review. With over 17 years in marketing, Mabuhay Designs knows how to get your brand noticed. Our clients span from one side of the globe to the other. Our services include; Social Network Marketing, Video Marketing, Brand Development, Website Promotion, and Email Marketing. Whether you're a startup company or an established business, we can design a creative marketing plan to put you in front of the competition. The most important aspect of your website, aside from looking beautiful, is SEO, without it your brand will never been seen. It is the foundation on which all your efforts sit. Too many web designers neglect to have their websites SEO perfected. While it may be true that SEO is a specialty that your web designer may not have the skills to perform, it is something that should ultimately be taken care of. 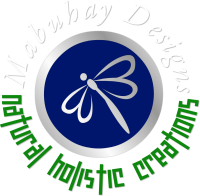 Mabuhay Designs builds websites that perform well behind the scenes and look great also. We will never leave you wondering why your site isn't getting any hits. I would venture to say that 80% of websites have SEO issues. It tedious work and most people don't have the time or the money to have it done properly. Mabuhay Designs has a price that should solve that problem for everyone! Photography has always been a passion of mine. I got my first camera at age 10, back in the day they still had film! Although I have never done it professionally, I have always wanted to. More than anything else, I had added Photography to this website mainly for show. I hope you enjoy the pictures I have taken. Being a Landscape Designer, it has come in handy being able to take pictures of the jobs I have done. Photography is a way of capturing your perspective of life and although anyone can pick up a camera and take pictures, it takes an artistic skill to capture them in a way that gives them more meaning. One of my favorite photographers is" Vivian Maier", she was able to capture such truth in her pictures of people (Street Photography), a genre I have always had difficulty doing. I think the reason is, I feel I am invading peoples privacy by taking their pictures without permission and stopping to ask them first kind of takes away from the naturalness. Christopher Vetrano has been a Landscape Designer for over 17 years. He has A.A.S in Horticulture, as well as a B.A. in Holistic Design. Christopher has worked on many upscale projects in Boca Raton Fl. and Miami Beach. He has also designed landscapes in New York and in the Philippines. Have a look here at some of his projects. He is available to design landscapes anywhere in the world. He works on residential, as well as commercial projects and welcomes any freelance projects he can be involved with. Pool Landscape at Night - Boca Raton Fl. I think we all feel this way sometimes. Computers can be difficult and time consuming, let alone the fact that your productivity is halted. Let us help you get your computer back up and running smoothly. We can fix any software related issue remotely. Watch us while we work on your computer, it's an easy way to protect your privacy. Have a look at our computer repair services. Maybe we can help take away the stress of your computer issues.